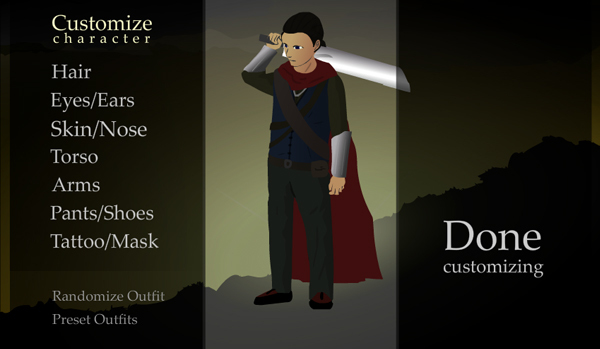 The character customization menu is the menu in the beginning of the game where you can customize and tweak your character to your liking. You can enter the customization screen any time through your inventory. You can unlock the various locked items in the submenus by earning the corresponding medals featured in the game. If you buy a house you can enter the customization screen with your wardrobe. There are 8 preset outfits to choose from if you do not want to design your own outfit. All the preset character outfits in the game. These are just the preset examples. But you can change your clothes, hair, face and eyes to your liking.